Warner Bros has been on the ball lately with quite a few announcements so let’s dive right in and sort it all out. -WB and DC Comics are working on a Justice League movie and a bunch of other comic/movie adaptations. We have a previous article on this announcement that states all the details. -WB has also announced a Harry Potter spin-off called ‘Fantastic Beasts and Where to Find Them’ and a LEGO Movie spin-off called ‘LEGO Batman’. -WB is set to reveal a new digital division called Blue Ribbon Content. -A (so far untitled) Mortal Kombat series that will go along with the new game, Mortal Kombat X. -A Static Shock live-action show is in development. As a staunch Mortal Kombat fan, this news doesn’t really surprise me. I’m very excited for the new game and the new series is just icing on the cake. 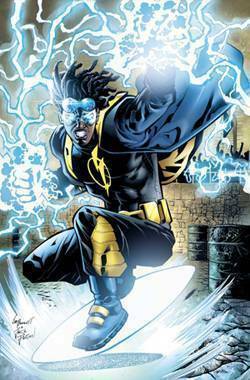 As for Static Shock, I only ever knew him from his animated show that ran from 2000 to 2004 and a live-action show would be nothing short of nostalgic for me.